Providing health care is a cornerstone of the Quicken Trust’s drive to transform the lives of the villagers of Kabubbu in Uganda where AIDS, malaria and abject poverty had brought destitution and despair. 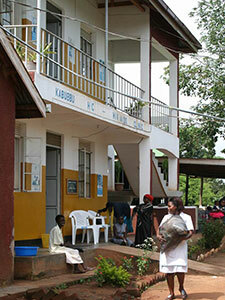 The Kabubbu Parish Health Centre it built now treats around 13,000 patients a year. 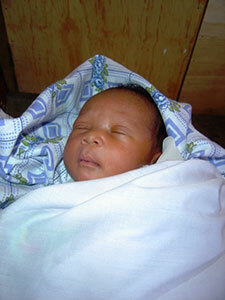 The Centre opened in December 2003 with the help of funding from Unicef and BA. Before its construction, sick adults and children and expectant mothers had to travel six miles to the nearest government health clinic at Kasangati. This frequently led to maternity complications and even deaths. The Kabubbu Parish Health Centre has established links to healthcare professionals in the UK – notably at Mildmay Mission Hospital in east London and Liverpool Women’s Hospital. Uganda’s health ministry and district health experts have told the Quicken Trust they are keen to see more links to organisations and individuals in UK to help supply health care. This is Amina. 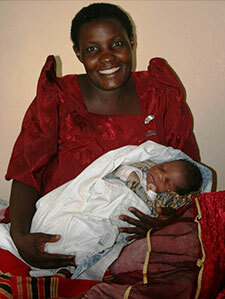 In January 2006 she became the first baby to be born at the Kabubbu Health Centre. There were complications with delivery. Without the centre and a midwife on hand, she may not have survived. The Centre is now a member of the Uganda Maternal Hub a project initiated to enhance and streamline maternal obstetric health. The Hub was inspired by a partnership between Liverpool Women’s Hospital and Mulago Hospital, Kampala. The aim is to supply a mosquito net to every person in Kabubbu. They will also get a bed and mattress so the net can be hung effectively and the person protected from mosquitoes. The AIDS Support Centre opened in 2009. Built in association with Mildmay Mission Hospital in east London, it provides specialist support to over 780 AIDS victims. 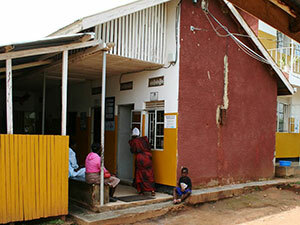 (Welfare) It was formally opened by Uganda’s vice president, Edward Ssekandi, in 2010. 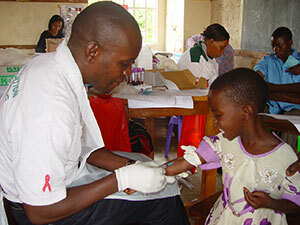 The Centre has been the focus of campaigns to improve AIDS awareness in the community. Sometimes in Kabubbu, Quicken sees things that cannot be easily explained. Irene’s story is one example of such divine intervention in a hopeless situation. After her father died from AIDS, Irene was diagnosed with HIV. She was two. She frequently had fever and skin problems. Drug treatment began but her immune system remained weak. 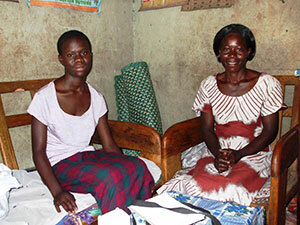 In her teens, Irene and her mum, Enid, decided to fast and pray. Weeks later, at Irene’s quarterly check-up, doctors could find no trace of the AIDS virus. Drug treatment continued but the next two check-ups produced the same result. Amazed, doctors declared her free from HIV. All skin problems had gone. The name of her church? Amazing Grace Miracle Valley Church!! 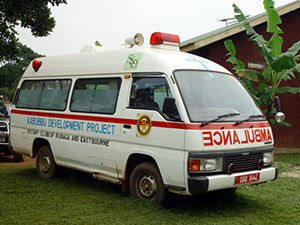 Kabubbu Parish Health Centre can boast of one facility that might be unique in rural Uganda – it has its own ambulance. The first vehicle was provided in 2006 by Rotary International, the Rotary Club of Eastbourne and the Rotary Club of Rubaga in Uganda. A replacement was provided by a personal donor in 2015.